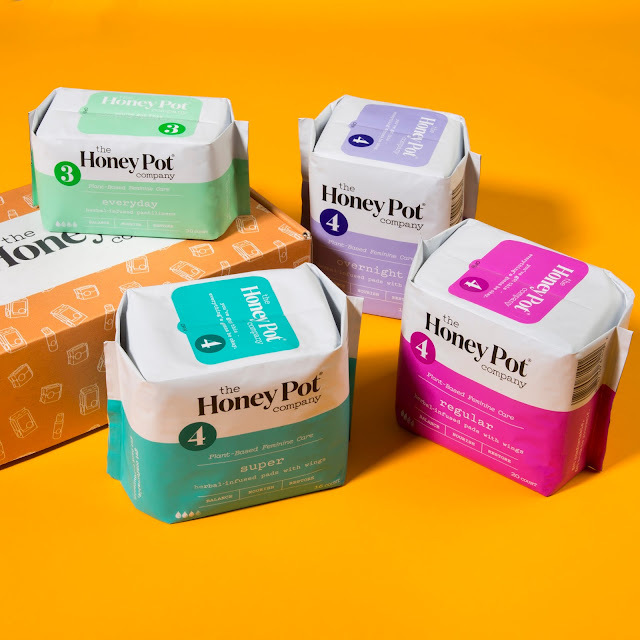 The Honey Pot is an all plant-based feminine care line. Why was that important to you? I created a plant-based feminine care line because our vaginas are the most absorbent area on a woman's body and to put anything toxic or potentially harmful in that area could have devastating consequences. Plant-based ingredients are nature's answer to medicine. Herbs, botanicals and essential oils heal, protect and nourish our bodies in so many ways so it makes perfect sense that there would be room for a plant-based feminine care line. I live a plant-based lifestyle from my diet to my personal care, it's so awesome we were able to create a plant-based feminine care system too! How did you come up with the concept for your brand? It all started after I had launched my washes back in 2014. Quickly after that, I started thinking about the expansion of this brand. I knew I wanted to be more than just a feminine wash company. 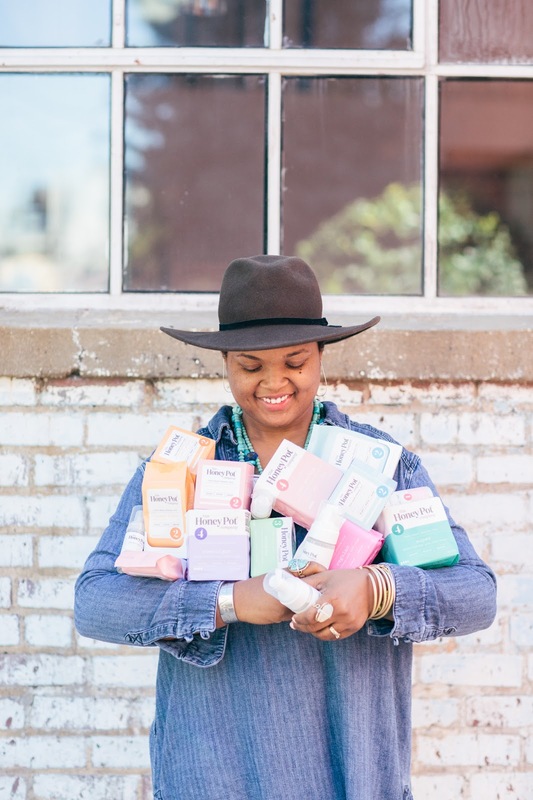 I wanted to be a company that provided everything a woman would need for her daily and monthly feminine care and hygiene needs. That's how The Honey Pot Company was born. We are the first plant-based feminine care system on the market with washes, wipes, pads and soon to be tampons. 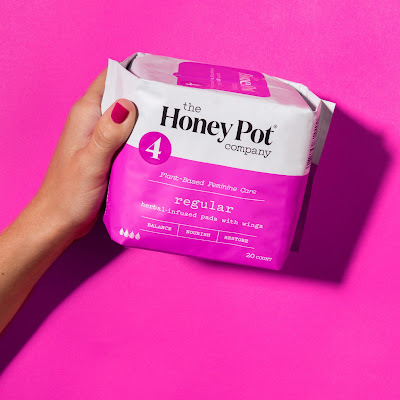 We are the only brand on the market to provide all-natural feminine care and feminine hygiene products under one brand. 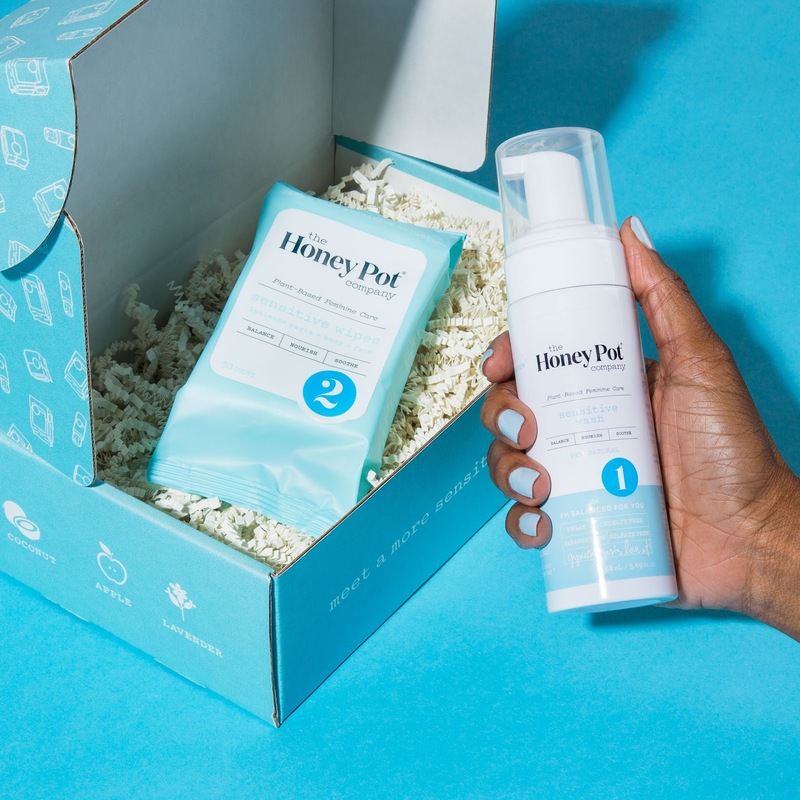 What can women expect to experience with The Honey Pot products? 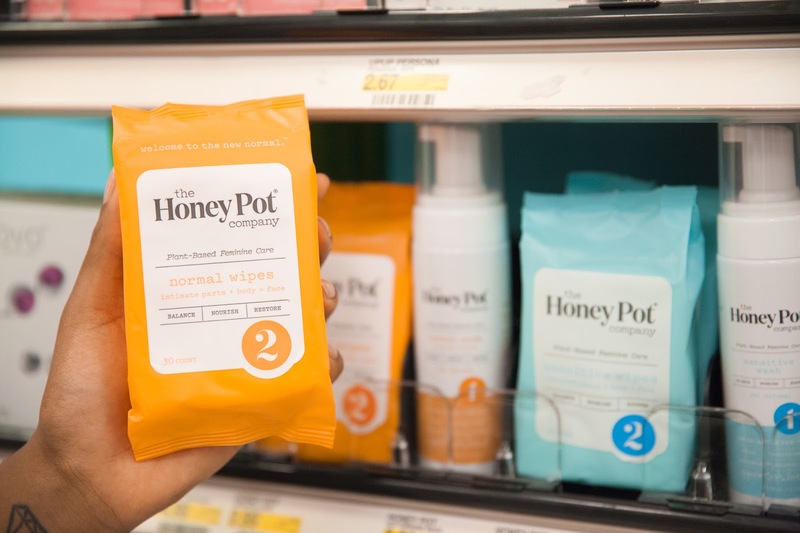 Women can expect an incredible new way to do their feminine care and hygiene. We suggest they begin with our best-selling feminine washes as they are the first step in our system. Our washes are gentle and fragrance-free and a great way to stay clean and fresh all day. Next, they can keep our feminine wipes handy for when they need to freshen up fast. When she has her cycle and reaches for our menstrual products, she will be pleasantly surprised. Our pantiliners and pads are infused with essential oils which provides a soothing minty cool feeling that is soothing and refreshing especially during that time of the month. She will experience less cramping and zero inflammation or irritation as the cotton is chlorine and pesticide free. All in all - she will be relaxed and comforted when buying and using The Honey Pot Company products as she is well aware that she's using safe, clean and gentle products that won't harm or irritate her delicate honeypot. As an entrepreneur and public role model, how does this health and beauty industry shape your responsibility to influence young girls and women that are watching you? I feel inclined to represent a new example and path for girls and women seeking to transition away from toxic chemicals and harsh ingredients. I feel very responsible for being that voice that promotes self-love, self-acceptance, and self-care. I am also a huge advocate for natural beauty. We need to find ways to enhance ourselves without resorting to using products that could cause harm and that distort our bodies, skin, and hair in ways that could be irreparable. I'm not saying that I don't believe in makeup or glamour - but it's all about achieving creative looks and expressing your style and beauty without damaging your health and wellness. I want my customers and followers to know that they are enough. They don't have to look a certain way to be considered beautiful. What’s the biggest change you’d love to see in women’s health? I would love to see all mass market brands do away with toxic chemical formulations. Women should NEVER be using these products as they can lead to serious illness and complications especially when used over long periods of time. We're talking infertility, sensitivity, infection, and inflammation. It's criminal when you think about all of the generations of women who have unknowingly poisoned themselves using toxic products over the years. In your own words, who is Beatrice Feliu Espada? Beatrice is a very determined, passionate, hard-working, fearless, compassionate, loving, creative, funny woman, wife, sister, daughter and entrepreneur. I am also a big animal lover and a pacifist. I believe in peace and love but I am also a realist in that I believe in working hard to achieve your goals. I want to see everyone around me prosper and I love paying it forward. Life is a blessing and I am thankful to have every moment of every day! Can you take us through a typical day in the life of Beatrice? It's funny because there really is no typical day for me anymore. I work day and night as the founder and CEO. I'm on conference calls several times a day with manufacturers, marketing executives, potential investors, retailers, sales teams, SEO companies and my own team. I'm constantly putting out fires and looking for ways to improve my business. I live, eat, breathe and sleep Honey Pot. It's my life, my love and my gift to the world so I want it to be everything I know it will be! I want to leave a legacy of creating an effective and healthy feminine health and wellness brand for girls and women everywhere. If you could have brunch with any group of women in the world, who would it be and why? Oprah, Meryl Streep, Harriet Tubman, Oshun, Madam CJ Walker, Beyonce, Pocahontas. All of these women are strong, independent and resilient. They all faced major trials and tribulations and only became better and stronger because of those trials. I would love to bask in their essence and really soak up their vibrations. They are all heroines that I look up to and admire. What is the primary message you want to convey to your community of supporters? You are enough. You are meant to be happy, healthy and strong. Anything that takes you away from being happy, healthy and strong is something you need to avoid and remove from your pathway. Do you have any upcoming projects/events we should be on the lookout for? We are launching our natural tampon line this summer which is super exciting! Also, we have some major developments happening soon so stay tuned! A pair of gold earrings from my husband. My husband, my dogs and my team! Visit The Honey Pot to lean more.